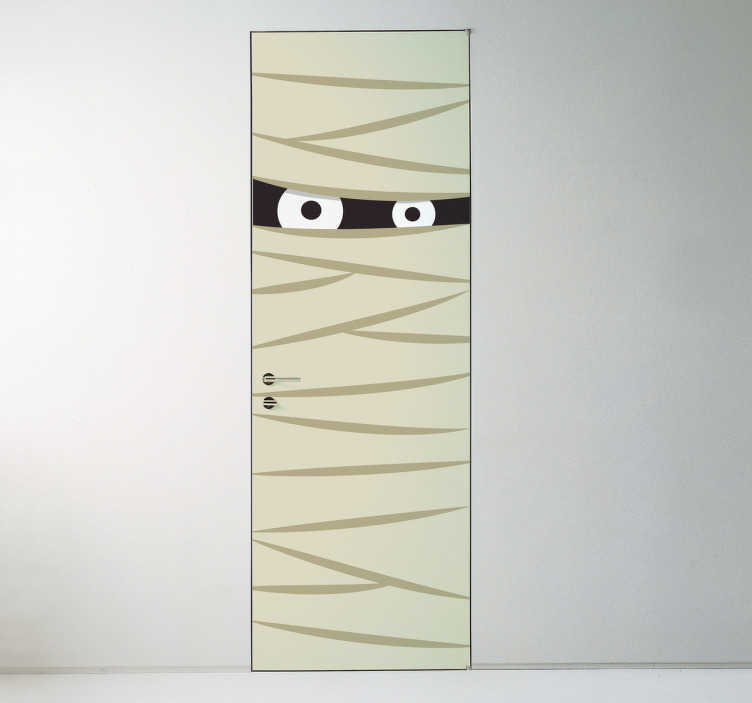 Mummy door sticker perfect for Halloween. The sticker covers the door and consists of a mummy wrapped in bandages, with two eyes looking through a gap. Get ready for Halloween with this original door decoration.